If you are in the hotel business then now it is time to make a perfect professional website to share your information about your business. The website is an excellent stage to showcase your rooms, accommodations, and provide information about booking services. Letís take a look at some of the best HTML5 Hotel Website Templates. 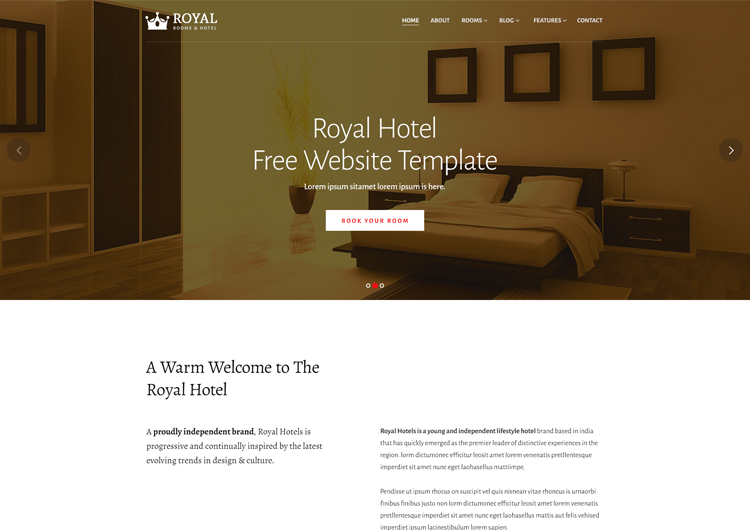 Ease Templates suggest reliable and most user-friendly websites templates for hotel booking. All website template allows you to create marvelous hotel sites. You will be able to post photos, organize reservations, and even manage your social media marketing campaign. From the excellent home page too, other excellent elements and sections. With the fabulous gallery section, you can showcase your incredible rooms, restaurants, and other offerings. It is compatible with all modern browsers, optimized for search engines and offers free support. The benefits are endless. What will shock you, yet amaze you, the header and footer variations, sticky menu, integrated Google Maps and Owl slider template that covers it all? Yes, in these hotel booking website templates, you can get the ready-to-use pages for restaurant, gym, spa and other related kinds of business. With the extra shortcodes, you can customize the template as you wish. Beautiful room listings, details online reservation, Of course, you can modify it and enhance it with your personal touches. Stay tuned for more awesomeness.